Going to war isn’t cheap, but neither is ending one. 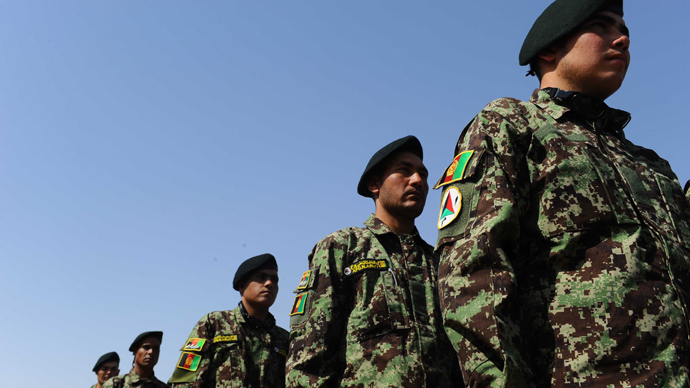 As the United States prepares to make its grand exit from Afghanistan at the end of next year, the Pentagon is planning on spending at least $3 billion just to send leftover equipment back to the US. The astronomical shipping cost was confirmed in USA TODAY this week by reporter Tom Vanden Brook, who wrote that roughly 1.5 million pieces of gear will have to go home before the December 2014 deadline for US to exit Afghanistan. By then, the US will have spent over 13 years overseas involved in a lengthy operation that began following the terrorist attacks of September 11, 2001 and remains active even two years after al-Qaeda leader Osama bin Laden was assassinated by American troops in neighboring Pakistan. 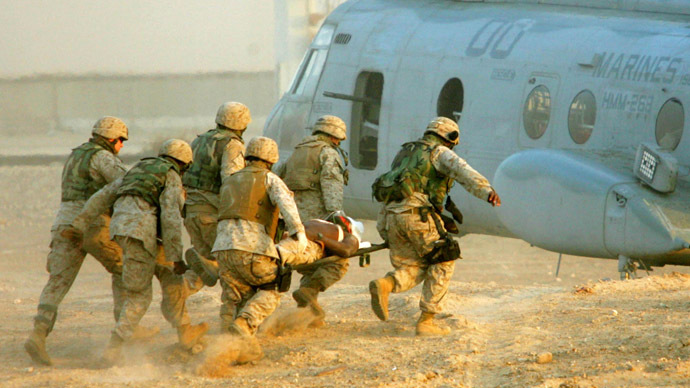 Around 60,000 US troops are still stationed in Afghanistan. At the beginning of 2013, Vanden Brook wrote, the military was left wondering what to do with around $28 billion worth of gear that wouldn’t be needed much longer overseas. Around $11 billion worth of those items have since been shuffled away, and the US has closed the majority of its 400 Afghan bases. As the exit date nears day by day, however, the Pentagon is perusing its hefty arsenal of arms and attempting to identify the quickest and most cost-effective way to rid the region of the $17 billion or so worth of warheads that will soon no longer be needed. "We're looking around and cleaning out the garage," said Maj. Gen. Edward Dorman, a top Army logistician, told the newspaper. If the Pentagon keeps the price-tag for shipping below $3 billion, though, some experts might be surprised. 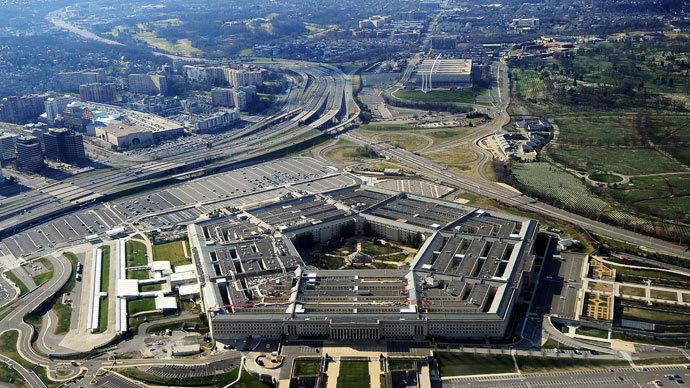 Earlier this month, Reuters’ David Alexander reported that removing military equipment from Afghanistan could cost the US Department of Defense between $5 billion and $7 billion, depending on the way the Pentagon plans its exit. Officials speaking to both Reuters and USA Today said the DoD would prefer shipping its supplies by first routing them through Pakistan to the port of Karachi, then load up ships that could sail back to Texas over the course of roughly 160 days each trip. By comparison, using air freight could move sensitive equipment from Afghanistan to the US in under a day, but would come at a much larger price. As the US continues to launch drone strikes on suspected militants in Pakistan, however, tensions remain high between the two once-friendly allies, and could worsen to the point of complicating any American exit from Afghanistan if the assaults continue. After a strike last Thursday left six suspected militants dead, Pakistan’s Ministry of Foreign Affairs issued a statement warning that the attack “set dangerous precedents” regarding the country’s relationship with the US. 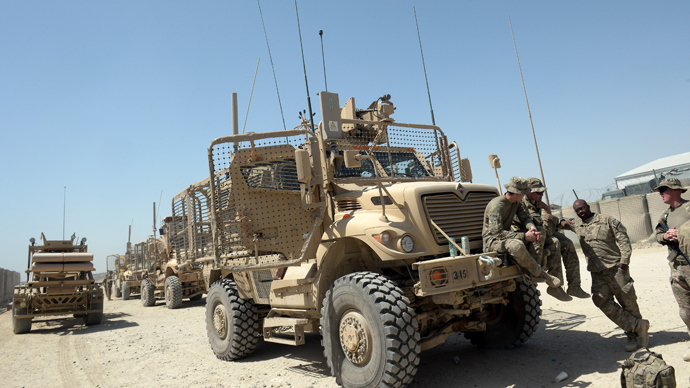 Currently, the Pentagon spends around $5.9 billion a month in Afghanistan, Vanden Brook wrote. Unfortunately, the cost of shipping could have liken been less severe had the DoD refrained from reaching for its credit card as often as it did. "We have a lot of stuff there. Inevitably, we overbought," Gordon Adams, a professor at American University and former defense official, told USA Today. "Is war wasteful? Yes," Adams said. "Is ending war wasteful? But bringing back something and pretending you're going to use it is even more wasteful. It doesn't do anybody any good if you just bring it back and park it." Adams added that the $3 billion estimate is “pretty cheap” in his opinion, but the Pentagon will likely leave as much overseas as possible if deals can be brokered to sell of weapons in lieu of shipping them back to the States. 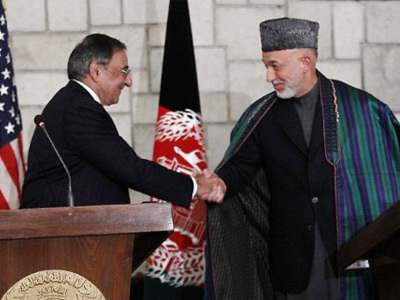 USA Today reports that about $7 billion in material may be left behind in Afghanistan — either sold to allies, handed over to the Afghan government or else smelted down and sold as scrap metal.